With KRION™ we can obtain specific curvatures by applying heat and force for a specific period of time. • Allows for organic designs. • 3D shapes are possible. 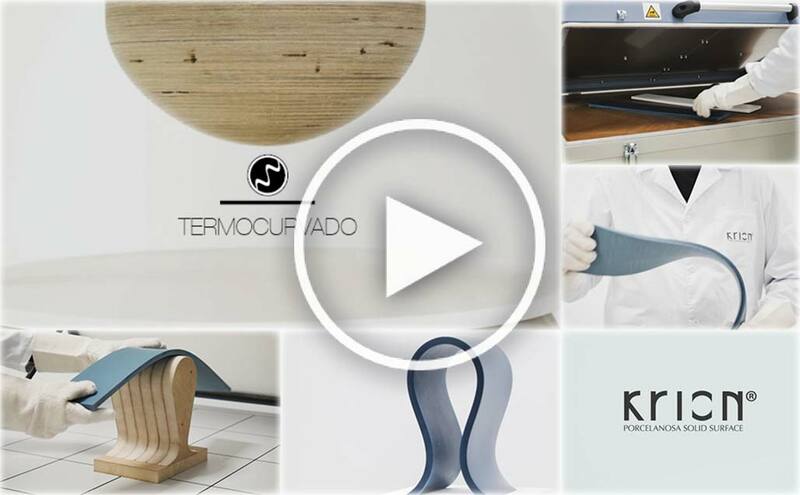 • The minimum permitted radius for thermoforming KRIONTM varies depending on the colour. * See the Fabricator’s Manual for the minimum radius of curvature for each colour.